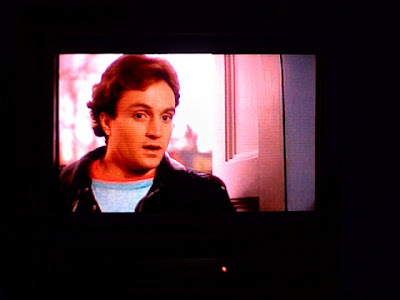 Last night I tried to watch adventures in babysitting. That movie brings back memories. I remember a part in the subway where Chris says, "don't eff with the babysitter." But she doesn't actually say "eff." She says the real deal. My little brothers and I used to quote that to each other because we had no idea what it meant. We stopped when we found out. I fell asleep and woke up at 3 then made my way to my bedroom where I had a lovely dream about the lead singer of R.E.M. trying to kill me. Funny story was that I used to LOVE that movie. I mean, seriously, Elisabeth Shue was sooo hot. I digress. So I remember a handful of years ago telling them about it and so we watched it. Miserable. Don't ever tell your friends that a movie you enjoyed as a kid and you haven't seen in a long time and they've never seen is good. You've got sentimentality wrapped up in it... they don't. You'll look foolish.